The word ceramic is used to describe any object made of clay, terracotta, and sometimes painted, whether produced by hand or through an industrial process, made of various types of clay and fired at various temperatures, including majolica, stoneware, porcelain, etc. Majolica art has been created in Italy since the Middle Ages, with items made of terracotta covered with painted majolica. 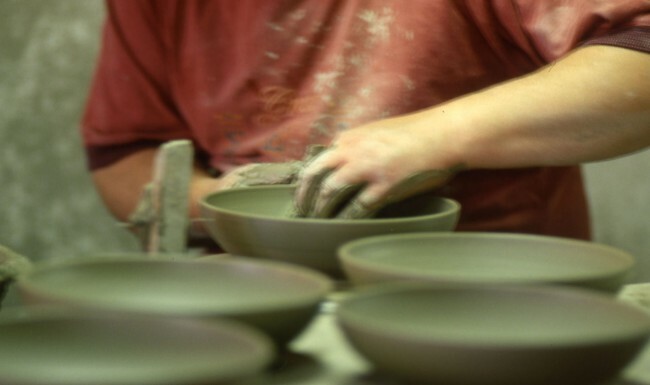 The artisan makes a mixture of water and clay that is characterized by high plasticity and cohesion. Items made of this mixture or dough are dried and then fired in an oven which hardens the article to its permanent state. An item of terracotta is an article made of a clay mixture and then fired. After the first firing at 990°, the solid yet porous terracotta is coated with paint or enamel. The most known enamel is white, shiny, and made opaque from tin oxide, which forms the coating called “majolica”. Both paints and enamels can be tinted with colours made with metal oxides, which, when mixed with the necessary fluxes, can produce different effects, according to the temperature and the type of oven (oxidizing or reducing). The oxide colorants used to paint majolica are fixed by melting under and within the coatings, at a temperature of 920°, producing a waterproof surface marked by warm, bright colours. 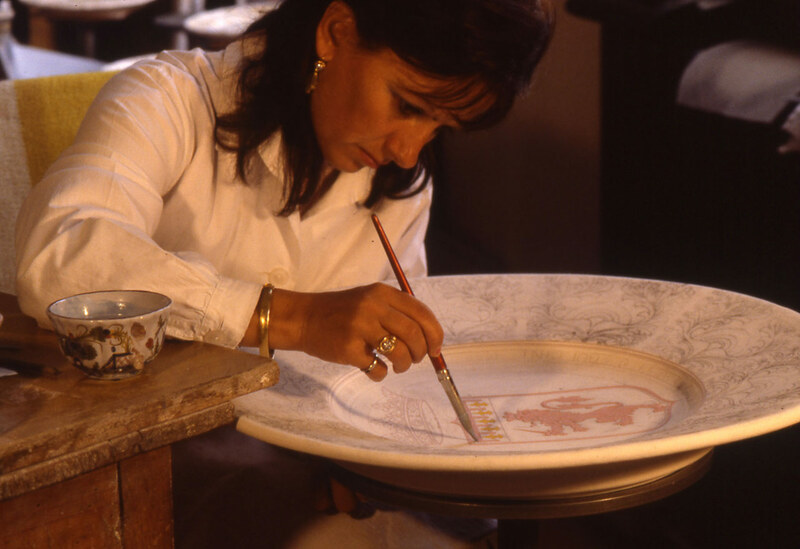 One last decoration can be applied by brush using a technique known as “low fire”, setting the colours in a firing at around 700°. This technique is used over the enamel. 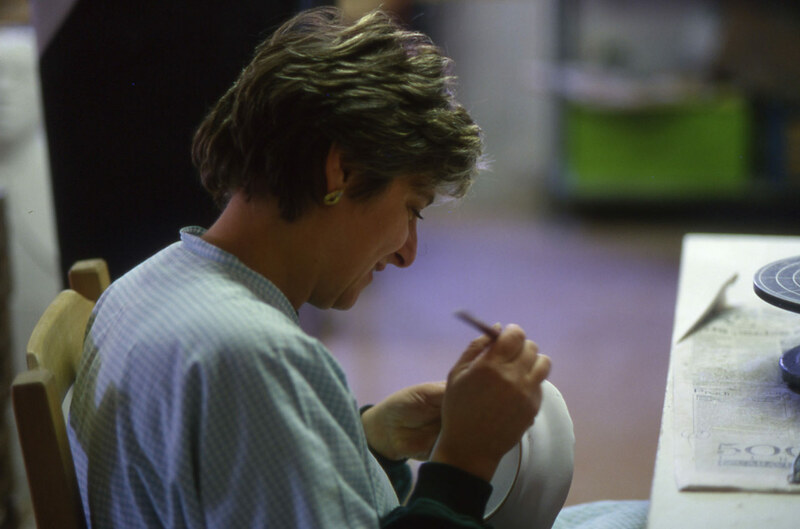 After the second firing, the ceramic is decorated by hand, using a brush to apply platinum or pure gold, and then fired again at 720°. Each piece is unique. Mother of pearl is a transparent, iridescent colour that is painted on the vitrified surface of the parts that you wish to bring out. It is then fixed with a final firing at 720°. This technique is obtained by melting the salts of noble metals in acids and applying them on vitrified surfaces. The items are fired for a third time at 720°. Once they reach this temperature, natural substances are introduced into the firing chamber through a special hole; combustion creates a reducing atmosphere, i.e. in the absence of air that transforms the metal salts, making them iridescent. This complex technique, which is still kept as a family secret, creates a series of original reflections. 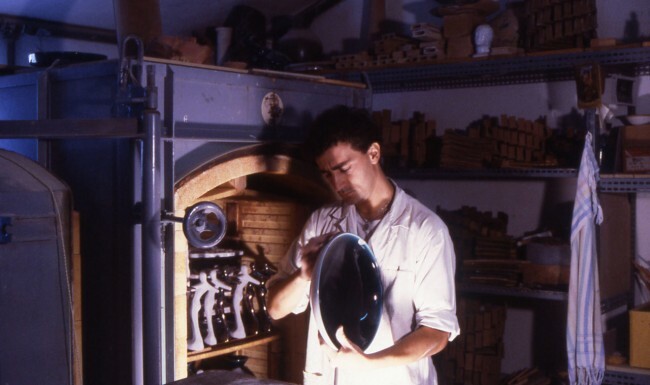 Created at the end of the ‘20s by Riccardo Gatti, it characterizes numerous exclusive creations by Bottega d’Arte Ceramica Gatti. Each object is unique. This technique uses base enamels of different characteristics and colours, some natural and others treated using the metal reflection technique. The master craftsman allows drops of different types of enamel to fall on the piece in an apparently casual manner, using his hands, brush or sponge. The result is an effect of rare beauty based on alternating reflective areas with areas that do not show reflections. Each object is unique. 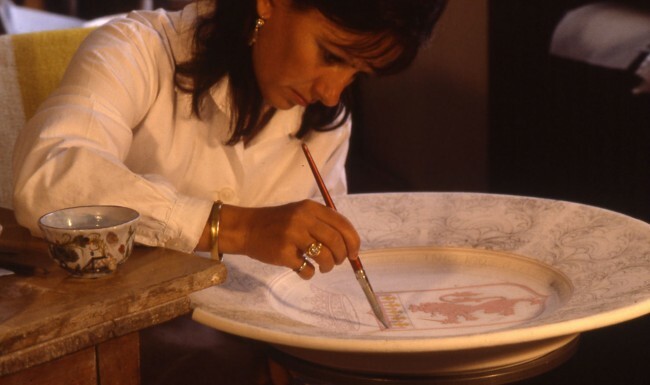 The master craftsman uses a brush to paint a specific design on the terracotta. The colours are repeatedly passed over the design to obtain the desired thickness. 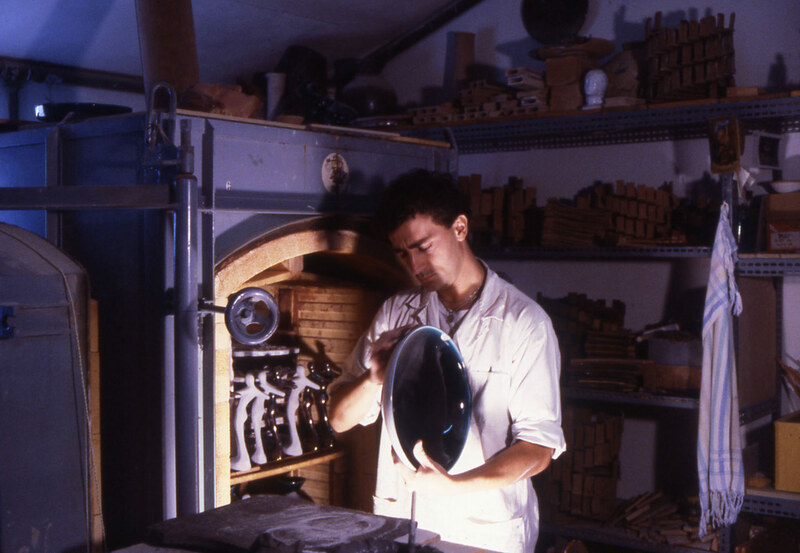 The item then undergoes the satin majolica process, painted with polychromatic oxides and fired at 920°. The reflection technique is then applied. This is a long, laborious procedure that results in a wide variability of reflective colours. The technique of relief results in surfaces with different thickness and reflections with a refined play of colour and iridescence. Each object is unique.